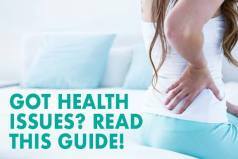 When it comes to getting enough of a sound and quality night’s sleep and feeling rested every day, it’s not enough to focus only on the importance of a good mattress, but on a superb pillow as well. Even though a high-quality mattress is necessary to get a good night’s rest, a comfortable pillow is just as crucial. 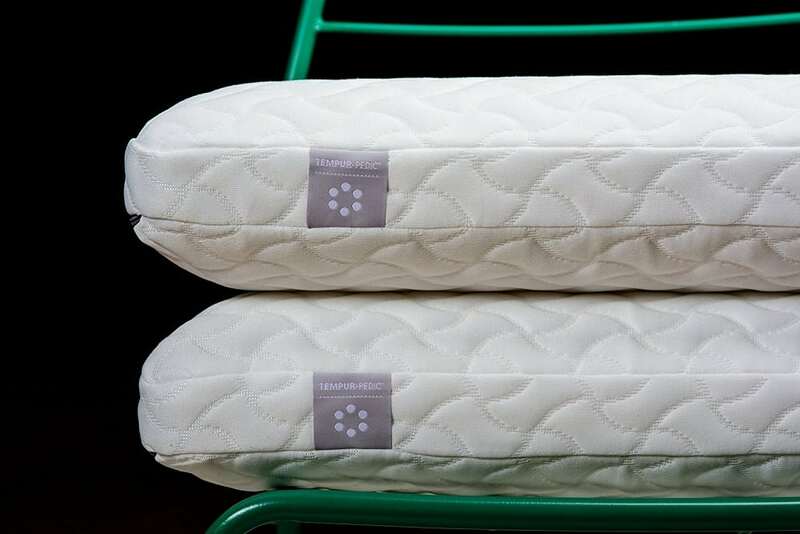 The mattress provides a proper support to your spine and back while the pillow props the head, aligns the neck, and relieves pressure in the shoulders thus contributing to a painless and more comfortable night’s sleep. Therefore, it is essential to complement your mattress with an effective pillow such are those offered by Tempur Pedic. 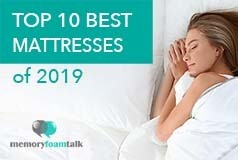 As we have already mentioned in our Tempur-Pedic mattress review (click here to read our full Tempur-Pedic Cloud Luxe Breeze mattress review), they are the name most associated with memory foam mattresses, and for a good reason as they are considered to be the inventors of this industry and have been around the longest. But, they also offer a great selection of Tempur-Pedic pillows designed for providing a customized comfort and revitalization so you can sleep soundly every night. Unlike many other pillows, this Tempur-Pedic pillow does not come compressed in a plastic package. Instead, it comes packed neatly in a case which can be reused to store the pillow or keep it clean during the travel. You will notice a slight off-gassing smell with this pillow upon opening the case, but it is nothing overwhelming and will dissipate within a few days. The Tempur-Pedic Cloud measures 24“ X 15.75“ X 5“, and it perfectly fits in a standard or a queen-sized pillowcase. As for the construction of this pillow, we couldn’t obtain many details about it. They don’t share a lot of information about their technology as they consider it a proprietary information, so it is hard to find out of what exactly their pillows are made, etc. So, we know that what is used in the construction of the Tempur-Pedic Cloud pillow is the highest-quality proprietary Tempur material that perfectly adapts to the shape of your head, neck and shoulders and your temperature to provide you with the right balance of support and comfort you need for a continuous and quality night’s sleep. It is made with rigorous standards which guarantee you a durable and long-lasting product. The cover of this pillow is made of soft 100% polyester knit, and it can be easily removed with a zipper and washed. The company recommends a cold temperature setting for machine washing and a cool setting for machine drying, though they consider air-drying to be the best. You should avoid overdrying the cover and using harsh stain removers and chlorine products. As for washing the very pillow, this is something you should never do. The Tempur foam will absorb a lot of water, and it will take a lot of time to dry naturally. You probably won’t manage to dry it completely before the mold appears. 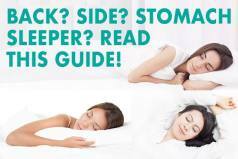 The Tempur-Pedic Cloud pillow has a 5“ profile which makes it a low profile pillow, but as such, it works well for all sleep positions, especially stomach sleeping. With its traditional shape and a soft, cushioning comfort, this pillow is perfect for those who haven’t slept on memory foam before. Signature adaptive support of Tempur material used in the construction of the Tempur-Pedic Cloud pillow totally adapts to your head, neck, and shoulders for personalized comfort and long-lasting support throughout the night. We personally prefer adjustable pillows made of shredded memory foam that can be adjusted to our liking over one flat piece of foam, and we felt this pillow to be a bit low for side sleeping as we are primarily side sleepers. Both Andrew and I felt the need to put our arms under the pillow to add to its height, but it worked perfectly well for us when sleeping on our backs or stomachs. It supported our necks and heads pretty well and was comfortable enough to lull us into sleep quickly and prevent the appearance of pressure points. However, this may not be the case for everyone. There was some heat retention with this pillow due to its memory foam construction, but it was nothing too serious. A light and breathable polyester cover allows it to breathe, wicks away moisture and eliminates that sticky sweaty feeling present in most memory foam pillows and mattresses. The Tempur-Pedic Cloud pillow comes in at only $79, which is an extremely reasonable price given the highest quality materials used in its construction and the overall comfort it provides. Click here for the best price on a Tempur-Pedic Cloud pillow. 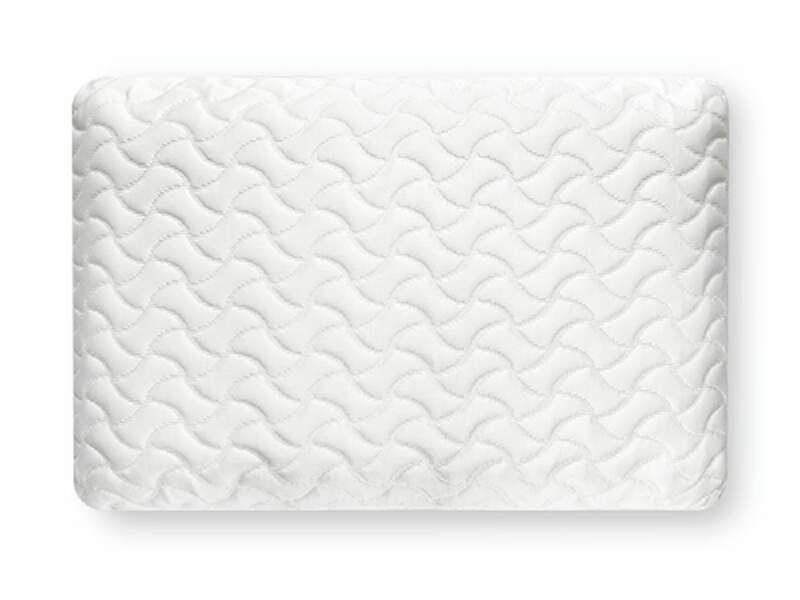 Is the Tempur-Pedic Cloud Pillow Right for You? Memory foam feel – The Tempur-Pedic cloud pillow is entirely made of Tempur foam which may be ideal for you if you like the classic feel of memory foam. It perfectly adapts and contours to your head and neck, relieves pressure points and provides a soft cushioning feel. Low profile pillows – This pillow is only 5“ high which makes it a low profile pillow. As such it works well for back and stomach sleeping, though it may be equally good for side sleeping if you are not a large sleeper. In general, our experience with the Tempur-Pedic Cloud pillow was positive. Being made of the highest-quality proprietary Tempur material, it perfectly adapts to the shape of your head, neck and shoulders and your temperature to provide you with the right balance of support and comfort necessary for a continuous and restorative sleep. It is an ideal fit for both back and stomach sleepers, but it may be to low for larger side sleepers with broader shoulders. The Tempur-Pedic Cloud pillow has a removable and extremely soft and breathable polyester cover that adds to the overall comfort of this pillow. It is a durable, long-lasting product that comes with a 5-year warranty and free shipping and is unlike any other memory foam pillow present on today’s market.